So adorable that it might be considered more of an accessory than a necessary plant. But...don't you just love those! 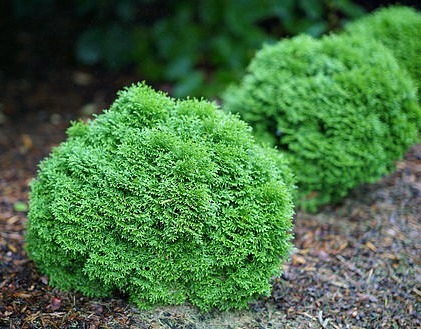 The Tiny Tater Tot Thuja is a small rounded evergreen shrub tolerant of part sun to light shade. Gets along well with other plants. Great for edging pathways and an excellent boxwood alternative for defining garden settings. This native shrub will not appear in garden centers until spring 2019.